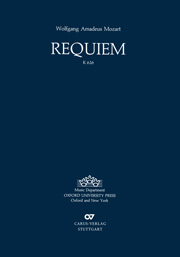 The history of the genesis of the Requiem is entwined with legends and anecdotes. The burdens of the composition and performance of La Clemenza di Tito and Die Zauberflöte, and an acute infection led to the collapse and death of the composer following a short illness. 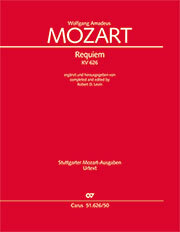 Mozart left his wife in considerable debt. 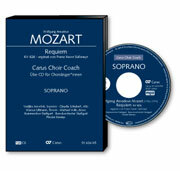 Constanze therefore turned to Mozart’s friends, asking them to complete the fragment. 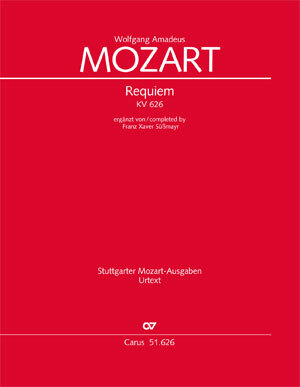 After two failed attempts, the task passed to Mozart’s pupil Franz Xaver Süßmayr, who completed the Requiem in the form known today, using working materials that are no longer extant, and perhaps verbal instructions from the composer. 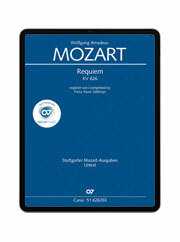 Today the Süßmayr version is still the most well known, and it is doubtless the one with the closest historical ties to Mozart.